Now DC Comics crossover events are not a foreign concept on the pages of comics. There has been a crossover event with He-Man. The Justice League and the Power Rangers. And Batman and The Teenage Mutant Ninja Turtles. Now a version of the latter crossover will be making their way to fans via an animated movie. 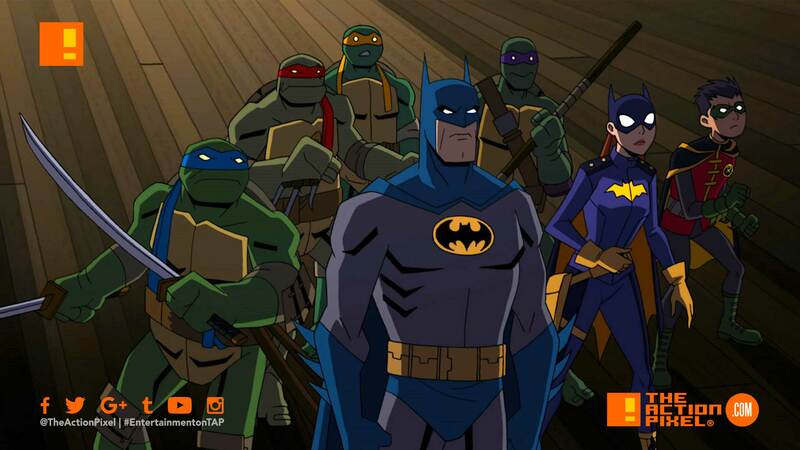 DC Comics and Nickelodeon are bringing the Dark Knight and the Heroes in a half shell together in a full animation. The animation will be based on the Batman/Teenage Mutant Ninja Turtles comics miniseries by James Tynion IV and Freddie Williams II, the film will see the turtles meeting Batman and feature our heroes teaming up to face Batman’s deadly Rogues’ Gallery. What do you guys think of the coming crossover event?